In most design schemes, the kids’ room is designed for the kids, and the rest of the house is typically designed for the adults. Theoretically, your children’s belongings should belong in their room. When they take off their shoes, drop their book bags on the floor, and pick up their toys at the end of the day, all these things should make their way back to the kids’ bedroom — but it doesn’t always happen that way. 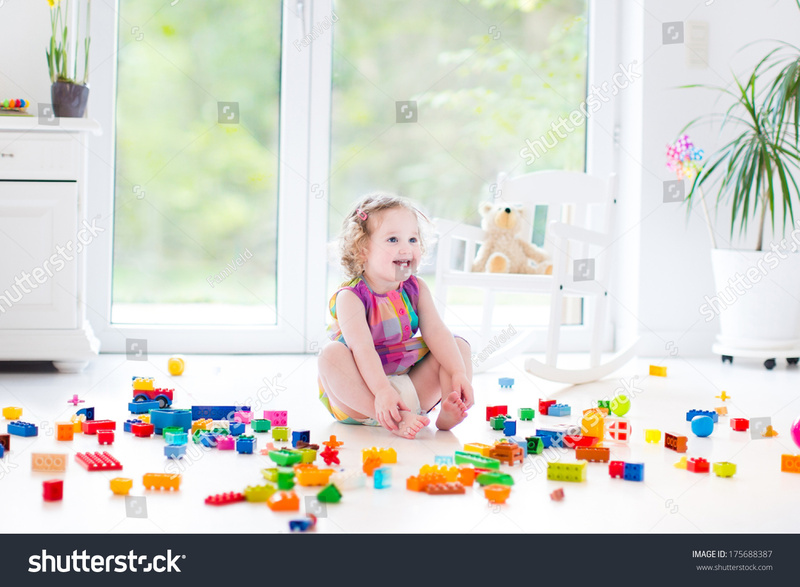 Somehow, your clean, conventional kitchen and your sophisticated living areas have become infiltrated with your children’s things, and even the most attractive interior design scheme is just not the same when punctuated with building blocks, action figures, and headless Barbie dolls. But when you have children, how can this problem be avoided? Your tots will always want to play where you are, and you may even bring children’s items into the adult realm simply for the sake of convenience- there’s certainly no reason to trudge upstairs every time you have to have to change a diaper, for example. When incorporating kid-friendly design in your home, these four easy steps will help you maintain your grown-up elegance in any room while making the presence of children and their things seem like they belong there. Any place where you spend a lot of time is almost certainly going to gain lots of traffic from your kids as well. Instead of expecting them to just stay out of the way – a particularly difficult thing to do when youngsters tend to hang out around doorways and seating arrangements – specify an area in your most frequently used living spaces just for them and their toys. This doesn’t just apply to your living room or den. Create small children’s areas on your porch, in your yard, in your garage or shed, or anywhere else that you and your kids spend lots of time. The children’s area in any room doesn’t have to be full of bright colors and inviting toys. In fact, a cozy window seat with a few drawers below it for toys will suffice. You could use a cushion that complements your existing color scheme, and even hang a small shelf within their reach for some books, stuffed animals, or quaint toys. Set bean bags and a short table on a corner of the deck where the kids can be separate, but still a part of what the adults are doing. If you have enough space – and enough kids – you could even make a fun kids’ table in your dining area without compromising the adult quality of your dining room’s design. Make sure your children’s areas incorporate elements that naturally draw your children to play, such as a ledge for driving cars or a seat that is just their height, without separating them from the very interesting things you will be doing in the same room. A creative mind is considered to be the single most important attribute that the leaders of our future will have. So encouraging creativity in your kids now is the one of the best things you can do for their future. It may sound like a daunting task to encourage creativity, but the easiest way to do this is simply to avoid discouraging creativity. Keep the children’s areas out of view of the television or a computer. Throw open the curtains to a nearby window, or even open up the window itself. Make sure that books, papers, crayons, puzzles, and toys that inspire creativity are within easy reach. Try to avoid toys that can only be used in one way, and opt instead for things like building blocks of unusual shapes, musical instruments, and costumes – and never underestimate the power of the cardboard box. When kids play, they tend not to think about cleaning up afterward until you clap your hands and shout, “Clean up! Clean up! Everybody, everywhere!” The moans, groans, and occasional sobs that often follow aren’t due so much to the fact that they have to clean, but to the fact that they don’t have any idea where to begin. It may seem simple to you – toys in the toybox, books on the bookshelf, dirty clothes in the hamper – but the sheer volume of things that have to be put away can quickly become overwhelming to a small child. Clean-up time may be much easier if, instead of having to clean the whole room, your children only have to focus on one children’s area at a time. They can put all the toys in a box, push the box under the little table that has been designated just for them, then move on to another small children’s area. When the work can be broken up, the task is much more manageable. Following these four steps can transform your kid-infested living areas into spaces where the children and adults can co-exist peacefully, while encouraging free thinking and creativity. And with a little creativity on your own part, you may even get them to clean up their own messes with half the whine and fuss.